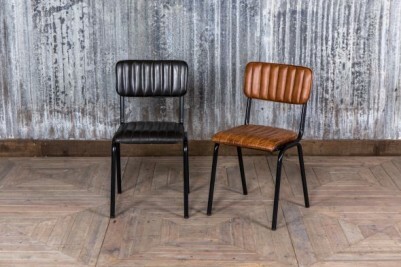 Add luxury and style to your dining area with these stunning leather restaurant chairs. Ideal for homes and businesses alike, the 'Arlington' chair has a simple design that is easy to incorporate into a range of interiors. 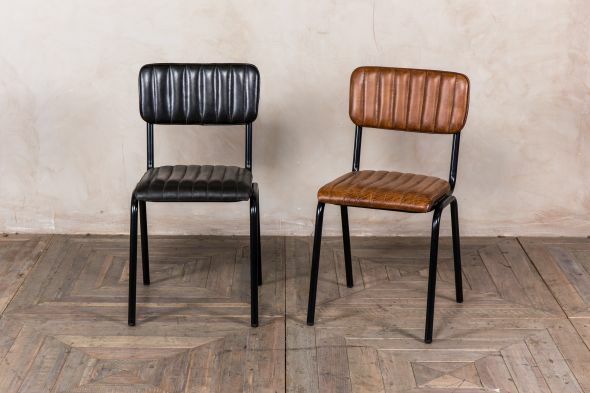 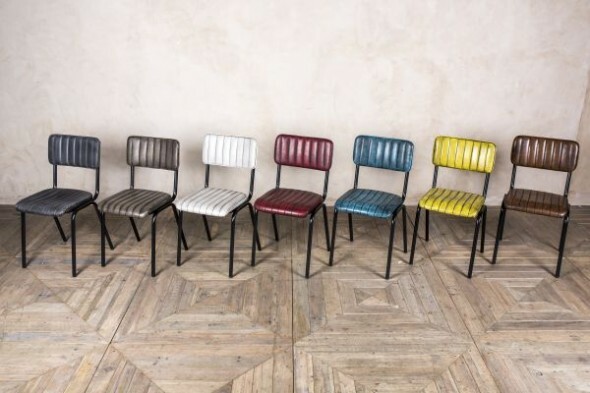 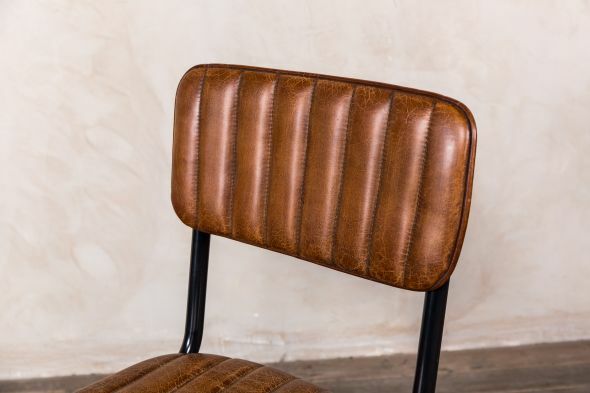 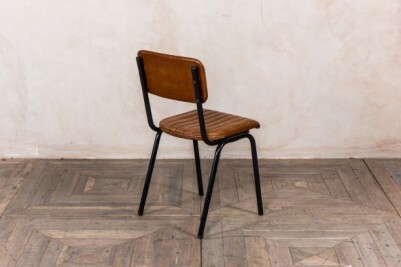 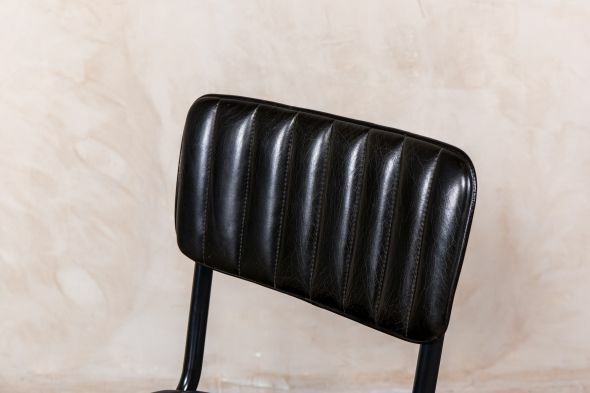 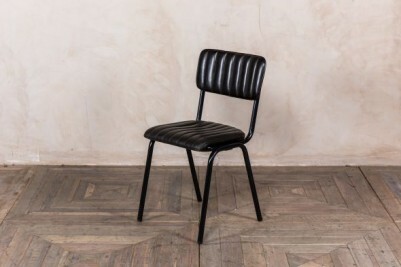 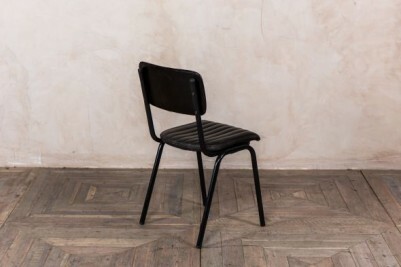 The stackable chair features a ribbed leather seat and back. It has a strong, welded, tubular steel frame with a durable, powder-coated finish. 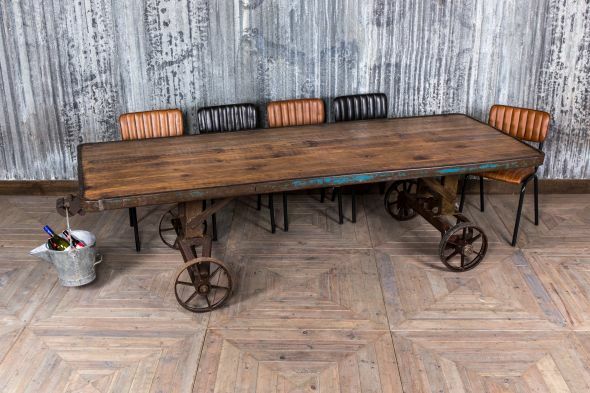 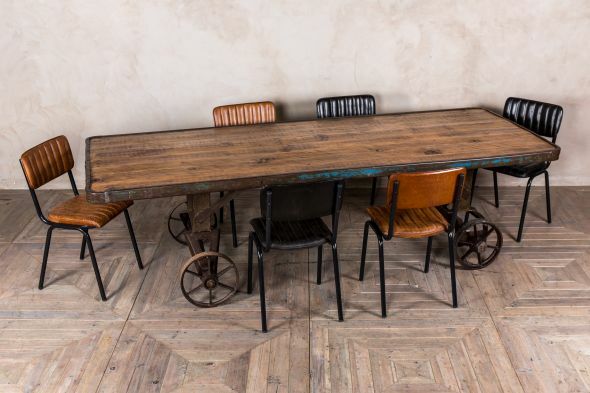 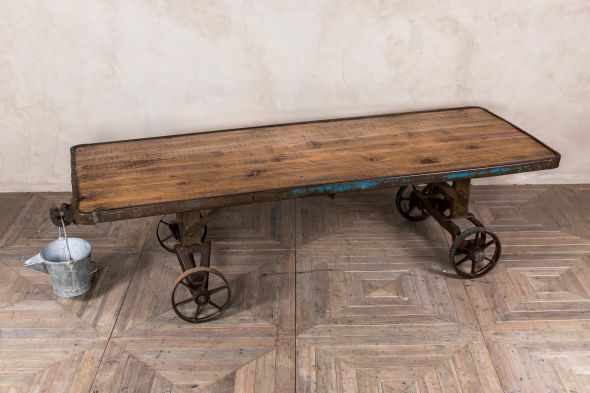 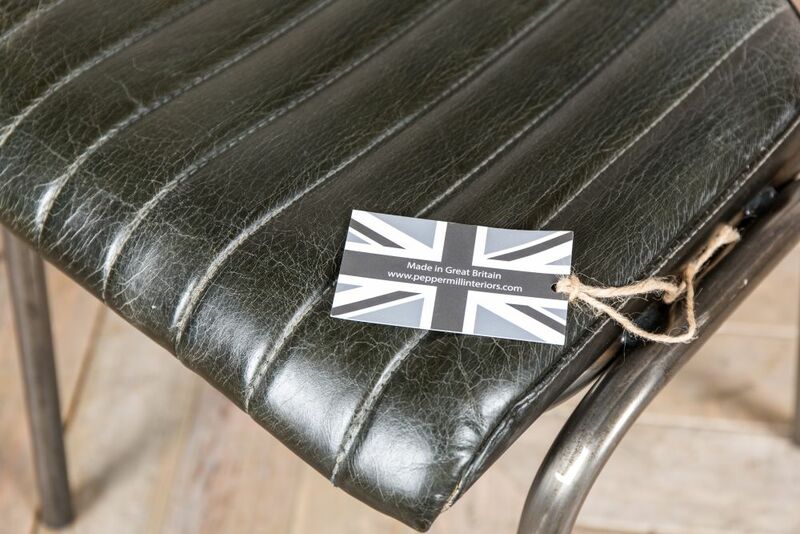 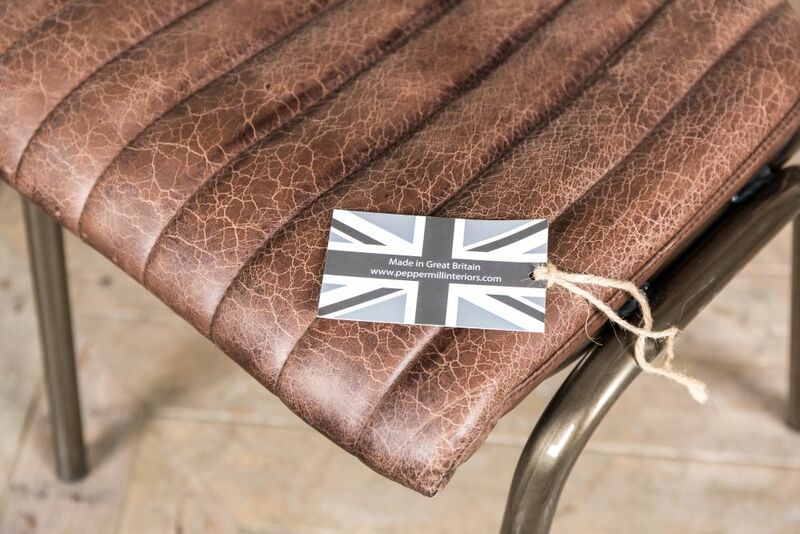 The distressed appearance of the leather paired with the steel frame adds industrial charm to the chair. 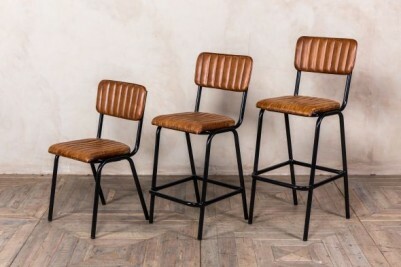 These chairs can be stacked; stacking chairs are extremely practical, particularly for bars and restaurants, as they are easy to store. Choose from either tan, ash black, hickory brown, espresso brown, or forest green for your seat colour, or mix and match. 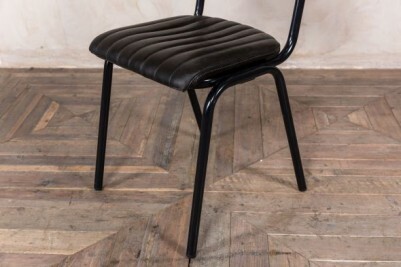 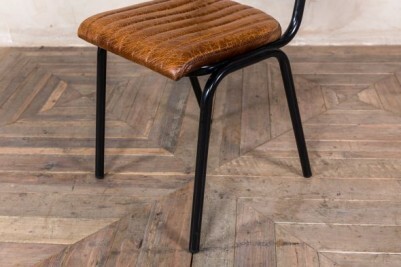 The chair has internal plastic feet to help protect your flooring. 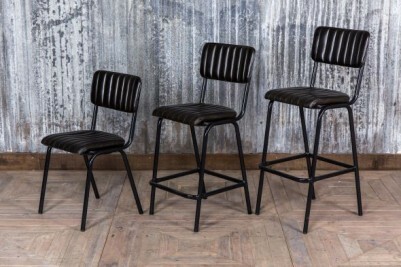 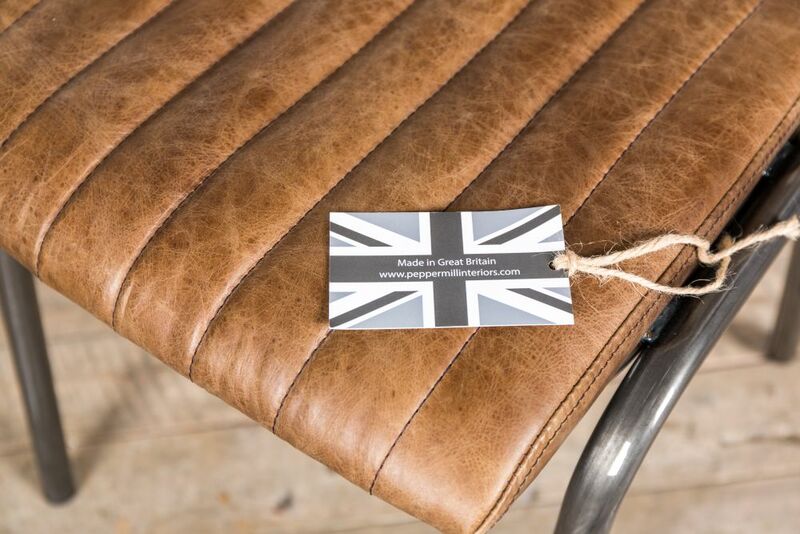 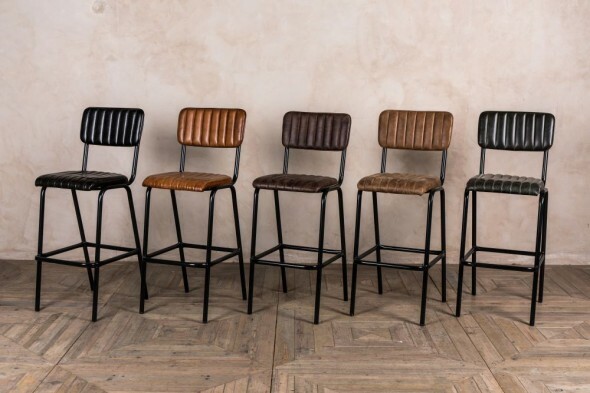 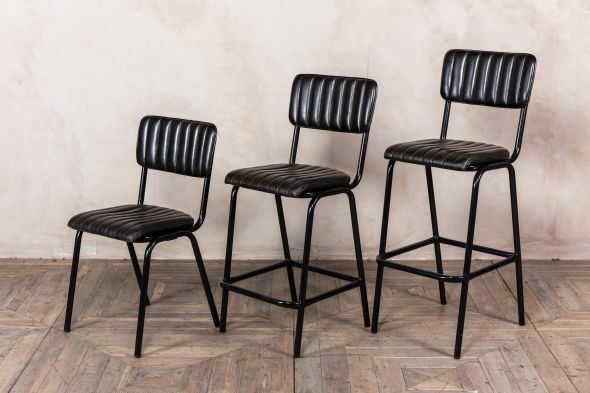 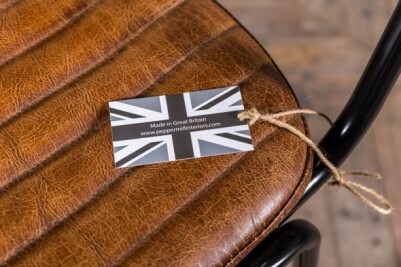 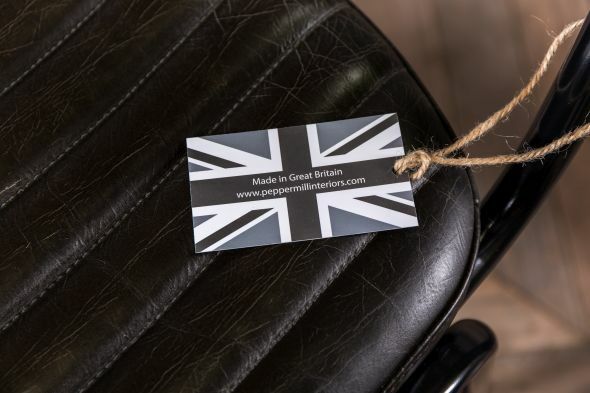 We also have the matching 'Arlington' bar stool in two heights; both the chair and stool are manufactured here in the UK. 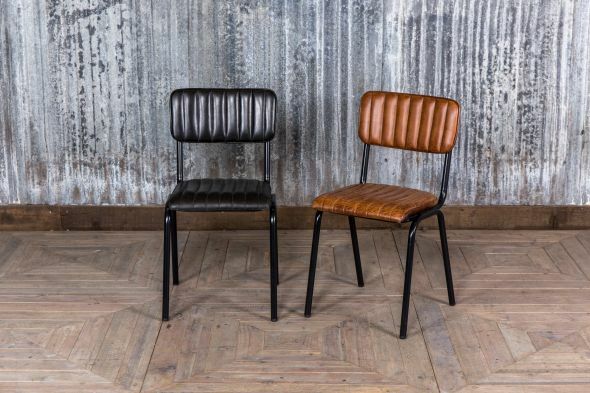 If you like this chair, you may also like our leather look 'Hammerwich' range, or our 'Shoreditch' leather seating collection. 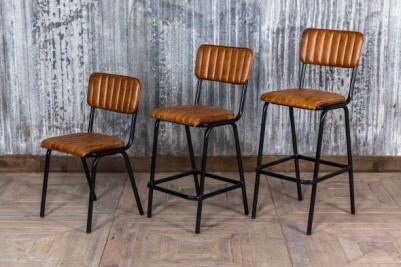 These leather restaurant chairs are priced individually.